‘Whiskey’ is the Anglicised word of the Gaelic term uisce beatha which translates to “water of life”. Unlike Scottish whisky, peat is uncommon in the malting process for Irish whiskey. As a result, Irish whiskey tends to have a smoother finish. 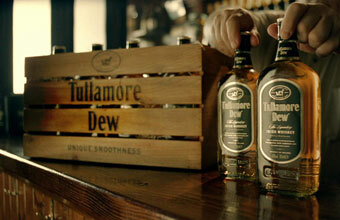 In order to be called an Irish whiskey, it must be aged for a minimum of three years in wooden cask. Irish whiskey was the most popular whiskey in the United States in the early 20th century. Unfortunately the industry was faced with the Prohibition period in the 1920s and 1930s. Since the 1990s, Irish whiskey has been making a strong come back. Feel like an advertising Hot Shot, fix yourself an Irish whiskey cocktail. Whiskey Sour or an Old Fashioned anyone?